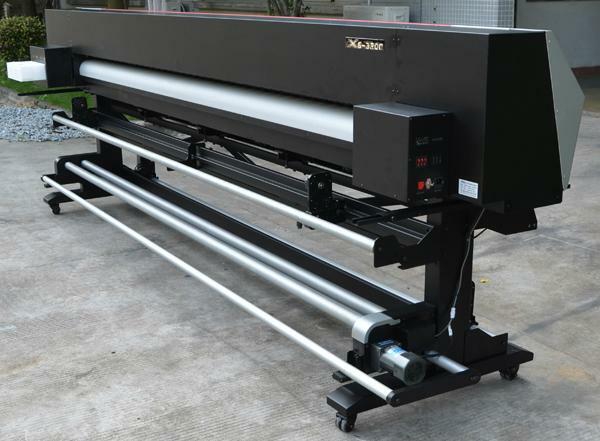 Using Double Epson DX5 print head, including 180 nozzles / row *8 lines *2, the nozzles is four times than before, high output quality up to 1440dpi. 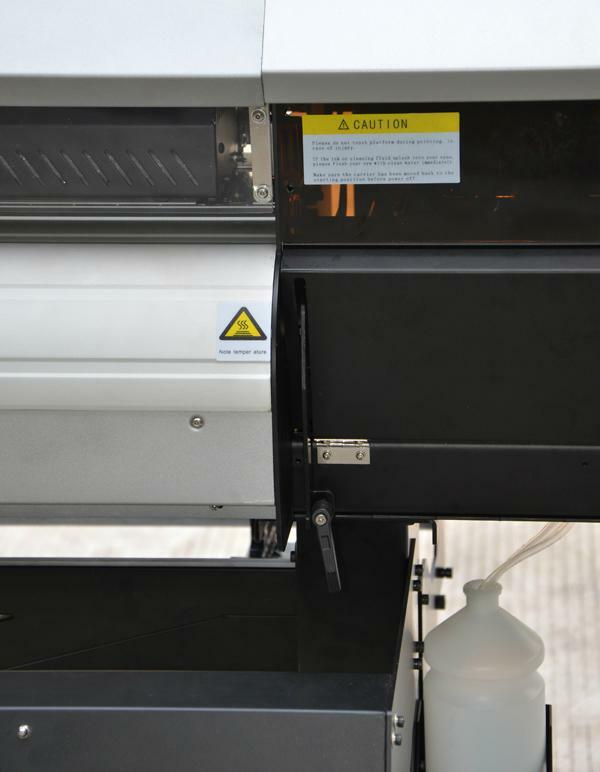 The staggered arrangement of the print heads significantly improve the productivity! 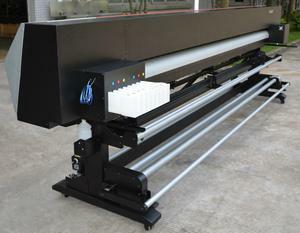 Our new 2000/2600/3200 with two Epson DX5 heads in staggered printing mode can make the speed to be 36m2/H in 4 pass. 4. Three smart heaters of front,middle and back. 5. The automatic damper take-up system. Worry-free when printing long chart. 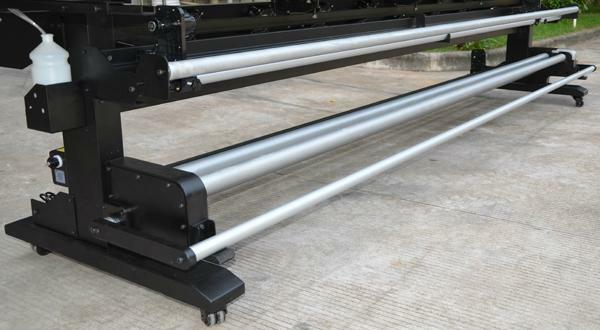 The automatic media take-up device synchronize the rolling collection can avoid the step or offset problems. And the width of media can reach 1.85 meters/2.6 meters /3.2 meters. 6. Adjustable print head height to adapt more different media. 7. Using the well-known HAVIN brand rails. To ensure the movement of carrier be more stable, longer life and quieter. 8. Three intelligent eclosion print function. Three intelligent eclosion print function can eliminate the broken picture to make the printing more perfect and delicate. 9. 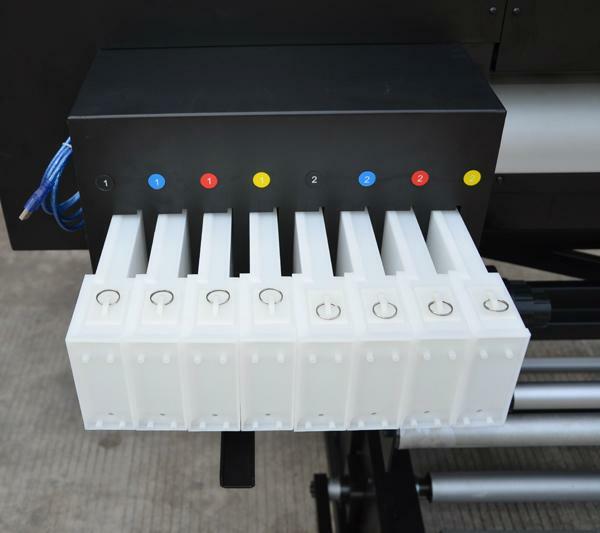 Automatic ink maintenance station is more convenient and stable. 10. Using high-power servo DC motor for X,Y axis to ensure accurate transmission. 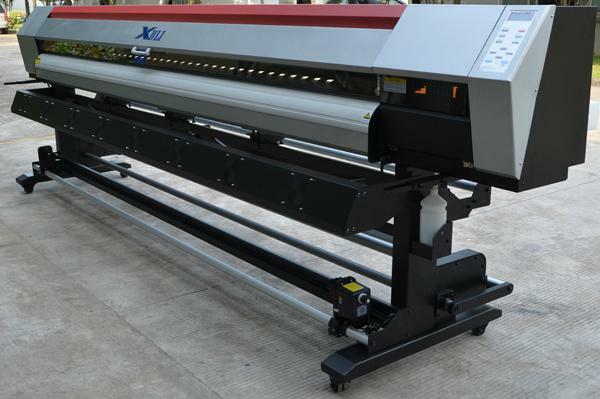 Higher resolution and more accurate for feeding paper, longer life using. 11. Using high-speed USB-HiUSB interface. Using industrial circuit design to ensure the reliable and stable circuit. 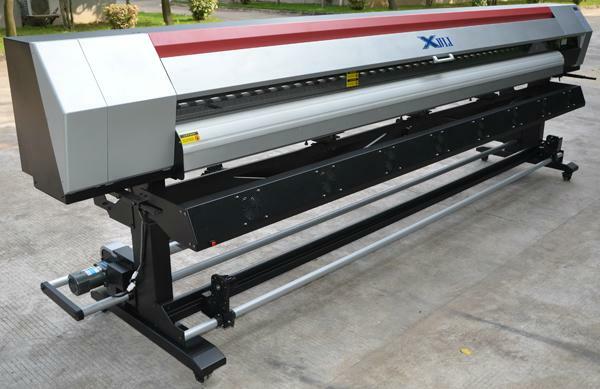 Good designs as high-capacity automatic ink supply system and so on, ensure the overall stability of the machine which make it become your right hand.